YOU MUST BE AT LEAST 18 YEARS OLD AND THE AGE OF MAJORITY AND LEGAL CONSENT IN THE JURISDICTION IN WHICH YOU LIVE OR RESIDE TO ENTER INTO THIS AGREEMENT AND PARTICIPATE AS AN AFFILIATE. PLEASE READ THE TERMS AND CONDITIONS OF THIS AGREEMENT CAREFULLY. FILEFACTORY RESERVES THE RIGHT TO TERMINATE YOUR PARTICIPATION IN THE PROGRAM AT ANY TIME. By continuing to maintain your affiliate relationship with FileFactory, you acknowledge that you have read and understood this Agreement and agree to be bound by its terms and conditions. This FileFactory Affiliate Agreement, together with the Program Rules (as defined below) and any other documents or materials referenced or incorporated herein (collectively, the "Agreement") constitutes a binding agreement that governs your participation in the FileFactory Affiliate Program. As used in this Agreement, "we", "us", or "our" means FileFactory, and "Affiliate", "you" or "your" means the person or entity entering into this Agreement to participate in the Affiliate Program. The Affiliate Program allows Affiliates to refer internet traffic to a FileFactory Site from website(s), App(s), or advertising networks ("Affiliate Site”) using a Special Link (defined below). If such traffic results in an Action (as defined below), Affiliates may be paid a commission ("Commission"), which may be calculated as a fixed fee, a percentage fee, a bonus or other payment depending upon a pre-selected program type (e.g., revenue share, pay per order or pay per member) (the "Program Type") and in accordance with certain rules ("Program Rules"). We indicate at the top of the page when this Agreement was last updated. Your continued participation in the Affiliate Program following such changes will be deemed acceptance of such changes. Be sure to return to this page periodically to ensure familiarity with the most current version of this Agreement. "Action" means an order, sign-up or other action resulting in a Commission, as more thoroughly defined in the Program Rules. "Advertising Assets" mean banners, buttons, graphics, html or source code, or similar material provided by FileFactory that contains a Special Link. "AID" means the unique identifying number, Referral Link or Special Link associated with a specific Affiliate Account. "Download" means a completed download by a user from a single IP address of a file contained in your Account. “Rebill" means an order from a FileFactory user who has previously owned a FileFactory Premium account which has lapsed or a recurring payment from a FileFactory user who has is automatically billed for FileFactory Premium on an ongoing basis. “Referral" means an order, sign-up or other action resulting in a Commission, as more thoroughly defined in the Program Rules. "Special Link" means the URL of a file contained in your Account, or a referral URL that uses, alone or in combination with Advertising Assets, your authorized AID and otherwise complies with any formatting guidelines specified by FileFactory. 3. LIMITED LICENSE TO USE ADVERTISING ASSETS. Affiliate represents and warrants that it submits or contributes content to or owns and/or operates the Affiliate Site and desires to place Advertising Assets on the Affiliate Site subject to the terms of this Agreement. FileFactory makes Advertising Assets available to promote the services of FileFactory. Such Advertising Assets may contain logos, trademarks, service marks and/or identifying words for FileFactory products and services ("FileFactory Services"). You are granted a non-exclusive, non-transferable and revocable license to display these Advertising Assets throughout the Affiliate Site, subject to the terms and conditions of this Agreement and FileFactory's policies and procedures. You may not alter, change, add to, or otherwise modify any Advertising Asset provided by us. This Agreement does not authorize the use of any Advertising Assets for any off-line or non-Internet (i.e., print) advertising or in the use of email marketing or other similar solicitations. 4. AFFILIATE'S RESPONSIBILITY FOR AFFILIATE SITE AND CONTENT. You will be solely responsible and liable for the development, operation, maintenance and all materials, content and Special Links that appears on the Affiliate Site. You shall operate and maintain the Affiliate Site in accordance with all applicable laws, rules and regulations. We reserve the right to monitor the Affiliate Site to determine if you are in compliance with this Agreement. 5. MULTIPLE REFERRAL PROGRAM TYPES; MINIMUM THRESHOLD. As an Affiliate, you may participate in multiple Program Types and be subject to one or more Commission rate schedules ("Schedules"). A current list of Program Types and Schedules are posted on FileFactory. Your participation in a specific Program Type may require you to meet minimum thresholds based upon various factors including, but not limited to, the duration, fees paid, conversion ratio, etc. Commissions may be modified for, or excluded from, certain trial, promotional and similar offers. 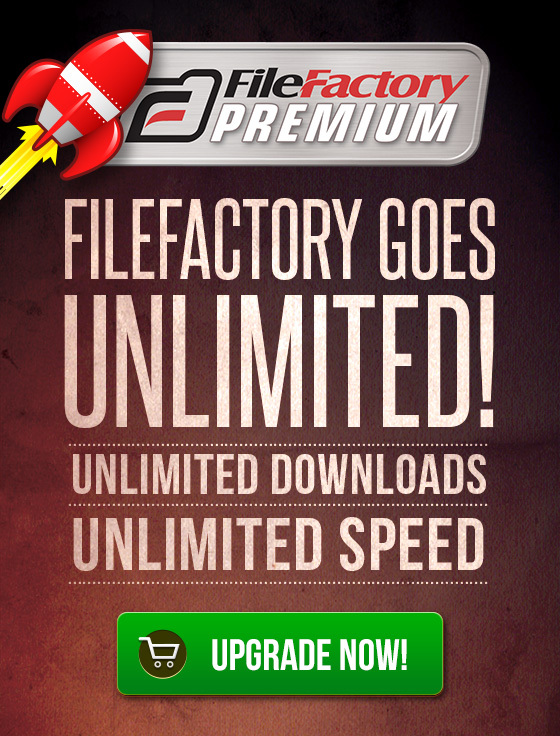 The prices charged to customers by FileFactory are subject to change at any time. You may not include price information on the Affiliate Site related to any product or service provided by FileFactory. We will use reasonable efforts to present accurate information, but we cannot guarantee the availability or price of any particular product or service that we offer. 6. COMMISSION TRACKING AND REPORTING. FileFactory uses commercially accepted methods and practices, which may include session or other types of cookies, to track a person's activities while on FileFactory. (To learn more about cookies, see http://en.wikipedia.org/wiki/HTTP_cookie.) Such methods and practices are designed to determine when an Action occurs. Unless otherwise expressly provided in the Program Rules for the Program Type, in order for a Commission to be earned, a person referred from the Affiliate Site to FileFactory must be tracked by FileFactory from the time the Special Link to FileFactory is activated (i.e., "clicked") until the person completes the member registration process and creates an account with FileFactory. We will not be liable to you or any other person for any Commissions or other amounts if we are unable to determine that an Action has occurred, whether due to a visitor's or member's browser settings, lack of AID, App bugs, antivirus software or otherwise. For purposes of illustration only, when cookies are used, the cookies are generally set to expire when a person using FileFactory terminates his or her browser session. If the cookie session expires before the creation of an account on FileFactory, you will not earn and will not be entitled to receive a Commission based upon any subsequent Actions taken by such person. For purposes of illustration only, if (a) a visitor is directed and comes to FileFactory from a Special Link on Site A, but does not complete the member registration process and create an account and then later returns to FileFactory from a Special Link from Site B and creates an account, no Commission is earned by or payable to Site A; or (b) if a visitor is directed and comes to FileFactory from Site A, but does not complete the membership registration process and create an account and later returns to FileFactory and creates an account, no Commission is earned by or payable to Site A.
FileFactory takes commercially reasonable steps to provide you with online access to track and review (a) Actions resulting in Commissions taken by members directed to FileFactory by the Affiliate Site, (b) Commissions accrued, and (c) certain other information using FileFactory's online reporting tools on a password-protected webpage (the "Reports Page"). The Reports Page is usually updated on a daily basis but is not in "real-time" and is subject to final reconciliation, taking into consideration non-completed transactions, Chargebacks, Credits and other potential charges. The form, content and frequency of the Reports Page remain subject to change. Not all paid products or services appearing on FileFactory entitle you to a Commission. FileFactory may refuse to permit any person to establish an Account for any reason and may reject any Action that does not meet FileFactory's requirements or policies and procedures in effect from time to time. For purposes of illustration only, FileFactory may reject an order for goods or services based upon a credit card with insufficient funds. You shall not earn or be entitled to receive any Commission (a) attributable to any revenue collected by us arising out of any tax, royalty and/or duty that we, or those acting on our behalf, collect from any person using FileFactory, (b) paid by us for any SMS, merchant processing or similar fees or (c) results in Chargebacks or Credits. 8. PAYMENT; COMMISSION PAYMENT FLOOR AND SETOFF. FileFactory's current policy is to issue any Commission payments earned and owing in accordance with the Program Rules for the Program Type within approximately thirty (30) days following the end of the calendar month when the Commission was earned. All Commissions are payable in USD. To the extent we receive non-USD currency for Actions, such currency will be converted into USD in accordance with FileFactory's exchange rate policies and procedures. If the amount accrued to you for any payment of Commissions is less than the minimum amount established by us (the "Commission Payment Floor"), we will hold such payment until the payment period after the total amount accrued is at least equal to the Commission Payment Floor. The Commission Payment Floor is currently 100.00USD and subject to change at any time or from time to time in our sole discretion. We will use commercially reasonable efforts to notify you of any such change in the Commission Payment Floor via email, posting a revised version of this Agreement, posting on FileFactory, or via other methods. If you have not earned or accrued referral fees in at least the amount of the Commission Payment Floor in the six (6) months prior to any given monthly payment period, or if your Account is suspended as provided herein, we reserve the right, in our sole discretion without notice to you, and without waiver by us, to charge you an Account maintenance fee in an amount up to 50.00USD per six (6) month period. The account maintenance fee charged may be deducted and offset against any unpaid Commissions. If a Commission is paid or owed and a subsequent Chargeback or Credit occurs, FileFactory may, in addition to any other remedies, terminate this Agreement for cause and/or setoff the amount of the Chargeback or Credit and any related fees from any subsequent payments owing to you. If there is no subsequent payment due, FileFactory will send you an invoice for the amount of the setoff amount, and you agree to pay such invoice no later than thirty (30) days following receipt. 9. ORDER PROCESSING; OWNERSHIP OF CUSTOMER INFORMATION. FileFactory and its service providers are solely responsible for processing and fulfilling all orders for FileFactory customers, including but not limited to, order entry, payment processing, shipping, cancellations, creditbacks, returns and related customer service. 10. NON-EXCLUSIVE LIMITED LICENSE TO USE FILEFACTORY MARKS. to notify FileFactory promptly upon becoming aware of any improper use of the FileFactory Marks and reasonably cooperate with FileFactory (at FileFactory's request) in the protection of the FileFactory Marks. You may only use the FileFactory Marks to the extent that you advertise FileFactory Services pursuant to this Agreement. We reserve all intellectual property and proprietary rights in and to the FileFactory Marks, and any and all goodwill generated by your use of the FileFactory Marks shall inure solely to the benefit of FileFactory. You recognize the great value of the goodwill associated with the FileFactory Marks, and you acknowledge and agree that the FileFactory Marks and all rights therein and goodwill pertaining thereto are valid and belong exclusively to FileFactory, and that FileFactory has the exclusive right to use and authorize others to use the FileFactory Marks. 11. NON-EXCLUSIVE LIMITED LICENSE TO USE YOUR MARKS. You hereby grant FileFactory a non-exclusive, transferable, world-wide license to utilize your name(s), titles, logos, and trademarks ("Your Marks") to advertise, market, promote and publicize in any manner the FileFactory Services, the FileFactory Site and our rights hereunder. However, we shall have no obligation to so advertise, market, promote or publicize. You hereby represent and warrant that you are the sole and exclusive owner of Your Marks and/or have all necessary rights and power to grant to us the license to use Your Marks in the manner contemplated herein, and such grant does and will not (a) breach, conflict with, or constitute a default under any agreement or other instrument applicable to you or binding upon you, or (b) infringe upon any trademark, trade name, service mark, copyright, or other proprietary right of any other person or entity. This license shall terminate immediately following the effective date of termination of this Agreement. You further represent and warrant that all information provided to us, including your email address and other contact information is at all times complete, accurate, and up-to-date and that you will respond in a timely manner in the event that we attempt to contact you. You are prohibited from sending any email to advertise on behalf of FileFactory. You may also not advertise on our behalf in any manner that violates, or is otherwise inconsistent with, Section 12 ("Representations and Warranties"). You may not display, or by any other method use, any photos, videos or any other information pertaining to any members of, or any other persons depicted on, FileFactory. You are prohibited from advertising, in any manner, FileFactory or FileFactory Services through the use of e-mail marketing or links in e-mail. This provision prohibiting such e-mail marketing goes beyond the prohibition of the use of unsolicited e-mail advertising and prohibits you from sending any e-mail messages advertising FileFactory or FileFactory Services even if such e-mail is permission based or double opt-in. We fully reserve the right at any time to refuse to accept traffic from you for any reason or no reason. In addition we fully reserve the right to divert any traffic you send to FileFactory to any other site and your only remedy would be to stop sending traffic to us or to terminate this Agreement without any monetary compensation owing to you. Any Advertising Assets, Special Links, or other web form that requires a user to provide payment information, e.g., name, address, billing information, in order to purchase a service or product from FileFactory must be located on FileFactory. You shall not host or frame any webpage that allows any user to order a service or product provided by FileFactory, or give any person the impression that the order page is hosted by you, e.g., iframing FileFactory including its order page. EXCEPT AS EXPRESSLY PROVIDED IN THIS AGREEMENT, FILEFACTORY DISCLAIMS ALL WARRANTIES, EXPRESS OR IMPLIED, INCLUDING, BUT NOT LIMITED TO, IMPLIED WARRANTIES OF MERCHANTABILITY, FITNESS FOR A PARTICULAR PURPOSE, TITLE AND NON-INFRINGEMENT ARISING OUT OF ANY AFFILIATES' PARTICIPATION IN THE AFFILIATE PROGRAM OR USE OF FILEFACTORY OR FILEFACTORY SERVICES. FURTHER, FILEFACTORY EXPRESSLY DISAVOWS ANY OBLIGATION TO DEFEND, INDEMNIFY OR HOLD AFFILIATE OR ANY AFFILIATE REPRESENTATIVES OR OWNERS HARMLESS IN CONNECTION WITH ANY LAWSUIT OR OTHER PROCEEDING ARISING OUT OF SUCH PARTICIPATION OR USE. IN ADDITION, WE MAKE NO REPRESENTATION OR WARRANTY THAT THE OPERATION OF FILEFACTORY WILL REMAIN UNINTERRUPTED OR ERROR-FREE OR GENERATE ANY INCOME OR COMMISSIONS WHATSOEVER. FILEFACTORY, ITS PARENT COMPANIES, SUBSIDIARIES, DIRECTORS, OFFICERS, EMPLOYEES, AGENTS, DESIGNEES CONTRACTORS, AFFILIATES, SUBSIDIARIES, SUCCESSORS AND ASSIGNS SHALL NOT BE LIABLE FOR EXEMPLARY, CONSEQUENTIAL, SPECIAL, PUNITIVE OR SIMILAR DAMAGES, INCLUDING WITHOUT LIMITATION, ANY DAMAGES RESULTING FROM LOSS OF USE, LOSS OF BUSINESS, LOSS OF REVENUE, LOSS OF PROFITS, OR LOSS OF DATA ARISING IN CONNECTION WITH THIS AGREEMENT EVEN IF WE HAVE BEEN ADVISED OF THE POSSIBILITY OF SUCH DAMAGES. FURTHER, FILEFACTORY, ITS PARENT COMPANIES, SUBSIDIARIES, DIRECTORS, OFFICERS, EMPLOYEES, AGENTS, DESIGNEES CONTRACTORS, AFFILIATES, SUBSIDIARIES, SUCCESSORS AND ASSIGNS AGGREGATE LIABILITY ARISING WITH RESPECT TO THIS AGREEMENT WILL NOT EXCEED THE AGGREGATE AMOUNT PAID TO YOU DURING THE PAST SIX (6) MONTHS. THE FOREGOING LIMITATION OF LIABILITY SHALL APPLY REGARDLESS WHETHER BASED UPON BREACH OF CONTRACT, NEGLIGENCE, TORT, VIOLATION OF 18 USC SECTION 2257 ET SEQ., ERRORS AND OMISSIONS, COPYRIGHT, TRADEMARK, PATENT, OR ANY OTHER CLAIM OR CAUSE OF ACTION UNDER WHICH SUCH DAMAGES ARE SOUGHT. Either party may terminate this Agreement at anytime by providing notice to the other party pursuant to Section 34 ("Notices"). If you terminate this Agreement, or if we terminate as provided in Section 13 ("Prohibited Activities"), or pursuant to Section 8, then we shall not pay you any Commission. Sections 1, 4, 8, 9, 11, 12, 13, 14, 15, 16 - 35 shall survive expiration or termination of this Agreement. Upon termination, any and all licenses provided to you under this Agreement shall immediately cease and you shall immediately stop using, amongst other things, any Advertising Assets and Special Links under this Agreement, and you shall immediately remove all Special Links and any other content using or referencing FileFactory. In the event of termination under this Section, FileFactory reserves the right to charge you a termination fee in order to cover certain costs and processing fees associated with closing your affiliate account. 17. NO AGENCY; INDEPENDENT CONTRACTORS. Nothing in this Agreement is deemed to create any partnership, joint venture, agency, franchise, sales representative, or employment relationship between the parties. You will have no authority to make or accept any offers or representations on our behalf and you are prohibited from holding yourself out as our agent. Affiliate shall not take any action or make any statement that contradicts anything in this Section. It is expressly understood and agreed that Affiliate and FileFactory are independent contractors in all manners and respects. Affiliate shall not be entitled to any benefits and shall be solely responsible for all taxes, social security taxes, unemployment taxes, workers' compensation insurance premiums and any other taxes or Commissions and other amounts paid to Affiliate hereunder. Your Commissions, and any software, technology, programming, APIs, specifications, materials, guidelines and documentation, or other information designated "confidential" by FileFactory shall be kept confidential by Affiliate and shall not be disclosed to any third party except as may be required by any court of competent jurisdiction, governmental agency, law, regulation or the rules of any stock exchange. In such event, Affiliate shall if permitted give reasonable advance notice to FileFactory of the disclosure and redact or seek an appropriate protective order to the extent possible before disclosing the confidential information. You shall defend (or pay our fees and costs of defense at our sole discretion), indemnify and hold FileFactory and its respective successors, affiliate entities, assigns, shareholders, officers, directors, employees and applicable third parties (e.g., licensors, licensees, consultants and contractors) (collectively, the "Indemnified Person(s)") harmless against any and all claims, actions, demands, liabilities, losses, damages, judgments, settlements, costs, and expenses (including reasonable attorneys' fees) brought against the Indemnified Person(s) and arising out of or related to, your participation in the Affiliate Program, operation of the Affiliate Site, and/or your breach (or any alleged breach) of any term of this Agreement, including but not limited to, Sections 10 ("Non-Exclusive Limited License to Use FileFactory Marks") and 12 ("Representations and Warranties"). YOU ACKNOWLEDGE THAT YOU HAVE READ THIS AGREEMENT, INCLUDING THE PROGRAM RULES AND ANY ACCOMPANYING ADDENDUM, AND AGREE TO ALL ITS TERMS AND CONDITIONS. YOU UNDERSTAND THAT WE MAY AT ANY TIME (DIRECTLY OR INDIRECTLY) PROVIDE TERMS TO OTHERS THAT MAY DIFFER FROM THOSE CONTAINED IN THIS AGREEMENT OR OPERATE WEBSITES THAT ARE SIMILAR TO OR COMPETITIVE WITH THE AFFILIATE SITE OR FILEFACTORY WITHOUT OBLIGATION TO YOU. YOU HAVE INDEPENDENTLY EVALUATED THE DESIRABILITY OF ENTERING INTO THIS AGREEMENT AND ARE NOT RELYING ON ANY REPRESENTATION, GUARANTEE, OR STATEMENT OTHER THAN AS SET FORTH IN THIS AGREEMENT. 21. NON-ASSIGNABILITY OF THE AGREEMENT. You may not resell, assign or transfer any of your rights or obligations under this Agreement without our prior written consent. We may resell, assign or transfer our rights and obligations or use service providers under this Agreement at any time without restriction and without notice or consent. This Agreement shall be governed by the laws of Belize, without regard to its conflict of laws rules or principles. Licensee hereby consents to exclusive jurisdiction in Belize for all arbitration and other proceedings arising out of this Agreement. ANY CLAIM, DISPUTE, OR CONTROVERSY (WHETHER IN CONTRACT, TORT, OR OTHERWISE, WHETHER PREEXISTING, PRESENT OR FUTURE, AND INCLUDING STATUTORY, CONSUMER PROTECTION, COMMON LAW, INTENTIONAL TORT AND EQUITABLE CLAIMS) BETWEEN AFFILIATE AND FILEFACTORY OR ANY OF OUR AFFILIATED ENTITIES OF OURS OR THEIR AGENTS, EMPLOYEES, PRINCIPALS, SUCCESSORS, OR ASSIGNS ARISING FROM OR RELATING TO THIS AGREEMENT, ITS INTERPRETATION, OR THE BREACH, TERMINATION OR VALIDITY HEREOF, OR THE RELATIONSHIPS WHICH RESULT FROM THIS AGREEMENT (INCLUDING, TO THE FULLEST EXTENT PERMITTED BY APPLICABLE LAW, RELATIONSHIPS WITH THIRD PARTIES WHO ARE NOT SIGNATORIES TO THIS AGREEMENT), SHALL BE RESOLVED EXCLUSIVELY AND FINALLY BY BINDING ARBITRATION IN BELIZE. IN ANY DISPUTE, NEITHER AFFILIATE NOR ANY OTHER PERSON SHALL BE ENTITLED TO JOIN OR CONSOLIDATE CLAIMS BY OR AGAINST FILEFACTORY OR OTHER PERSONS, OR ARBITRATE ANY CLAIM AS A REPRESENTATIVE OR CLASS ACTION OR IN A PRIVATE ATTORNEY GENERAL CAPACITY. AFFILIATE ACKNOWLEDGES THAT IT IS GIVING UP ITS RIGHT TO PARTICIPATE IN A CLASS ACTION OR REPRESENTATIVE ACTION WITH RESPECT TO ANY SUCH CLAIM. Affiliate's sole remedy for breach of any provision of this Agreement shall be an action at law for monetary damages, and in no event shall Affiliate be entitled to any injunctive or other equitable relief. FileFactory may bring an action for injunction or other equitable relief to protect its intellectual property rights or rights in or to confidential information and trade secrets. You can contact us by creating a support ticket at helpdesk.filefactory.com. Failure to enforce any provision of this Agreement shall not constitute a waiver of any term hereof. No waiver of a breach of any provision of this Agreement shall constitute a waiver of any prior, concurrent or subsequent breach of the same or any other provision hereof, and no waiver shall be effective unless granted in writing and signed by an authorized representative of the waiving party.